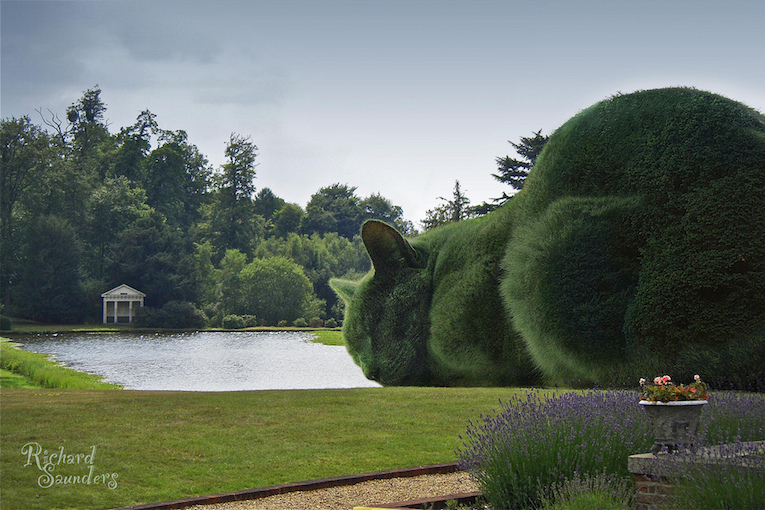 Imagine walking through a beautiful English country garden, turning a corner and seeing a gigantic, perfectly-manicured cat sculpted from lush green bushes lazing next to a lake. 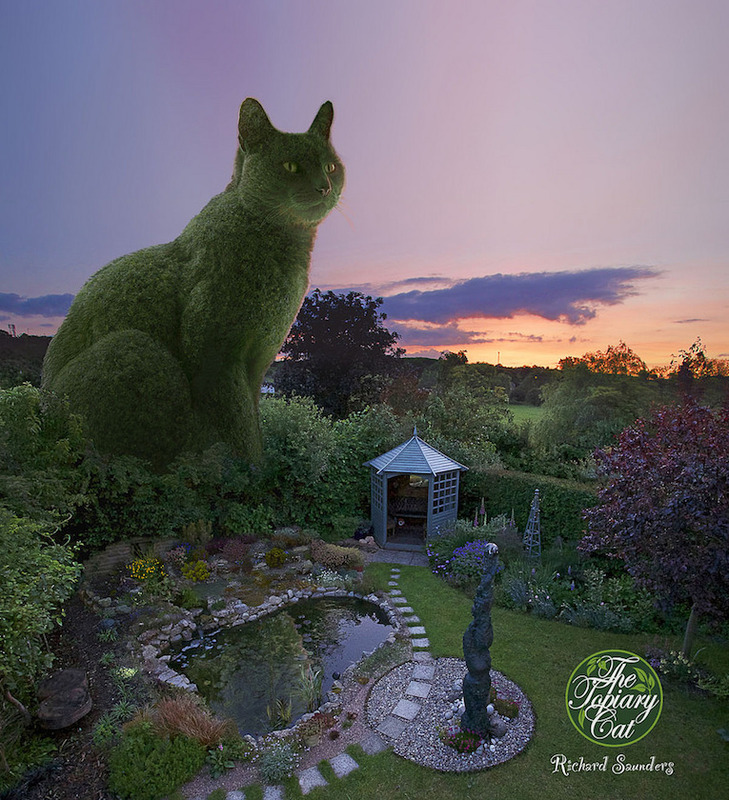 Taken from the mind of a “surrealist” artist from Stapleford, Hertfordshire – and rendered into high-quality fantastical images – the topiary cat has been taking social media by storm. 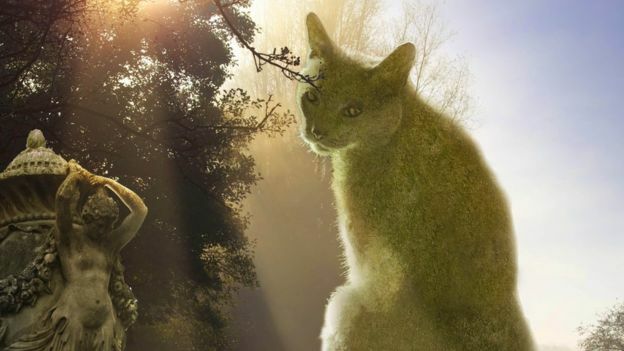 The pictures all feature Tolly, a Russian Blue owned by 69-year-old Mr Saunders. 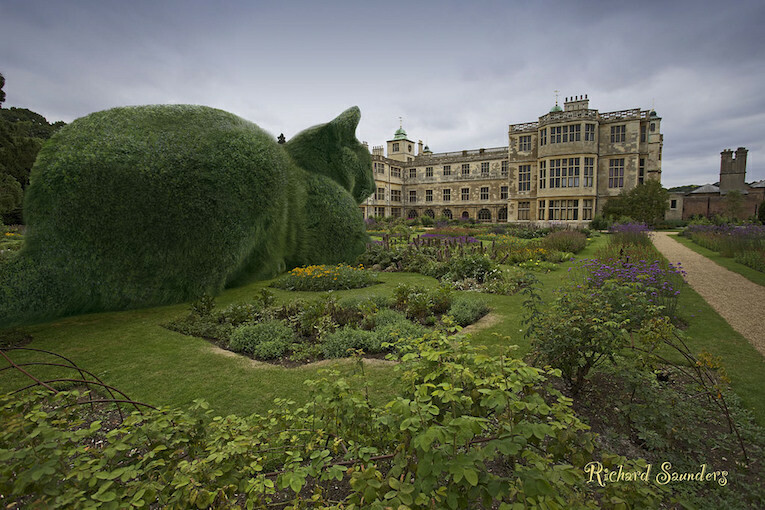 The first image he created took a picture of his beloved pet – who died in February – and cropped it into a photograph he took at Hall Barn, in Beaconsfield, where he had spotted a topiary shaped like a cloud. 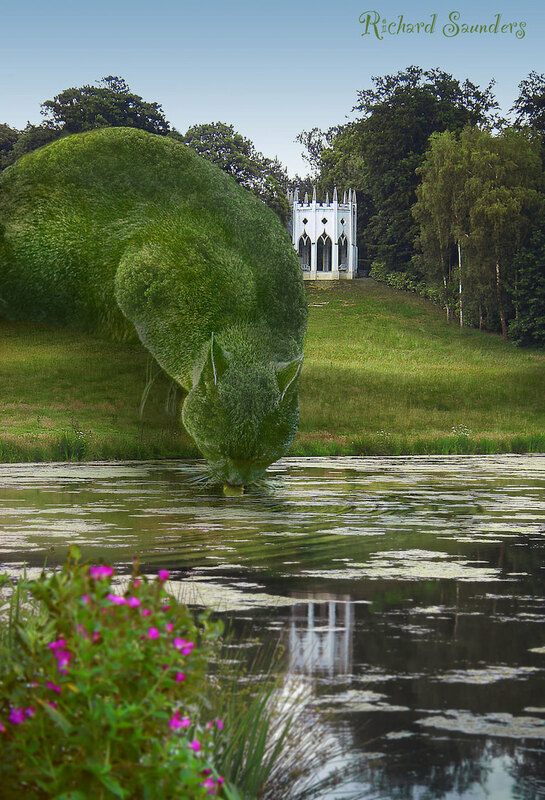 One of his later images, which depicted a cat drinking water from a lake at Painshill, in Surrey, was seen by 3.25m people on Facebook. 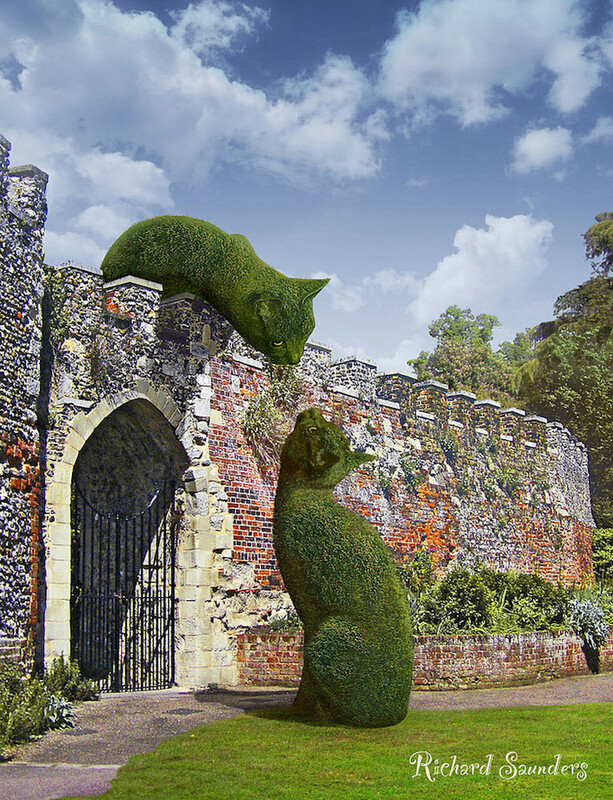 He said he always made it “very clear” that the topiary cats dotted around country estates were not real, but “about 25%” of people who saw them believed they actually existed. 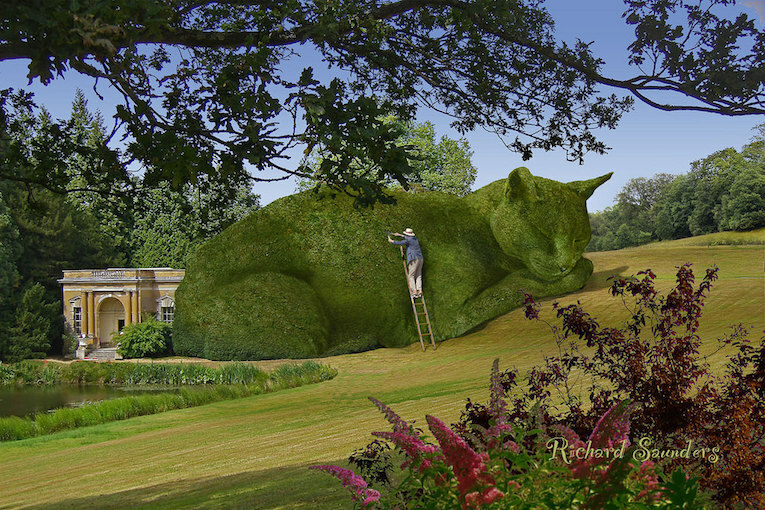 Comments on The Topiary Cat’s Facebook page speak of how users “wish they were actually possible” or are “captivated” by the “inspired pictures”. 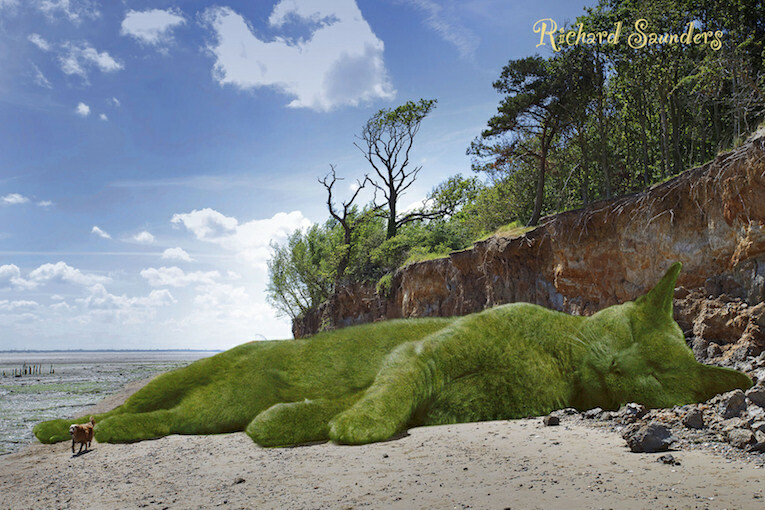 Mr Saunders said he always breaks the news to people who think they are real, adding that he would “rather be known for my art than my deception”. “I try to correct people, but sometimes they don’t want to know and want to keep believing they’re real,” he said.